I love seafood pasta salad. My son often asked for this one to take for his school lunch. I cook a big batch and we pick at it out of the refrigerator each time we open it. You can use short cut macaroni or any small pasta shapes - I just happened to have some wholewheat pasta shells, so I used those. 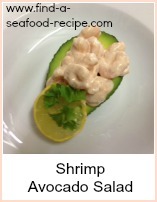 It's so very easy - take a large bowl and combine all the ingredients and there you have it - a seafood pasta salad. You can use any short cut pasta, shells, twirls, as long as it's small. 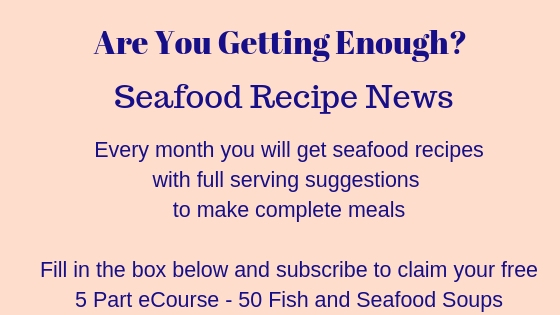 You can substitute any sort of seafood you like in this - perhaps a seafood cocktail, consisting of any combination of cooked shellfish that you like to make a unique seafood pasta salad of your own. You could make a pasta salad to eat with seafood. Put the mayonnaise or sour cream into a large bowl. Combine with enough cream or milk to make a coating sauce. Add some dill and chopped chives to taste - fresh if possible. Pile the cooked pasta into the bowl and turn gently to coat with the sauce. If the pasta looks a little dry, then put some mayo/sour cream, milk and herbs into another bowl, mix and pour over the pasta, once again turning gently to combine. This pasta salad would be good with seafood such as smoked mackerel, lobster, crab, shrimp, prawn or a combination making up a lovely seafood platter with a pasta salad. In addition, some crusty bread and green salad would make a great meal. Cold pasta is a great standby. 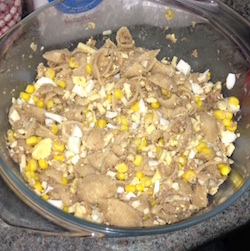 It is filling and if you use wholemeal pasta, it can be very good as part of a slimming diet. 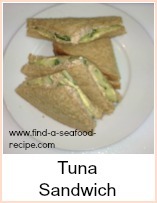 You would need to use low fat mayo or a low fat salad dressing to substitute in this recipe. I buy a .5% fat french dressing which I drizzle over my pasta - I remove my portion before I dress the salad and use my own dressing on my portion. 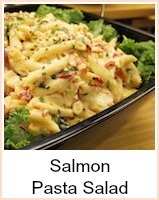 Versatile seafood pasta salad recipes which are great as part of a buffet, picnic or packed lunch.